So You Think You Can Mom? : Did Somebody Say WAFFLES?!?!?!? Dr. Doofenshmirtz is primed to take over Disney's D23 Expo…and the Tri-State Area with his most wacky "-inator" yet -- "The Waffle-inator" -- a spectacular 40-foot high interactive game, combining physical and digital worlds -- and simulated waffles -- in an epic showdown to free Agent P from the clutches of Dr. Doofenshmirtz. Kids, tweens and families can hop aboard and wield the life-size invention to play "The Phineas and Ferb Waffle-inator Challenge," over three days at Disney's D23 Expo, the ultimate event for Disney fans, at the Anaheim Convention Center FRIDAY, AUGUST 9–SUNDAY, AUGUST 11. The Waffle-inator is depicted in "Phineas and Ferb: Mission Marvel," the highly anticipated event episode of the #1 animated series for kids and tweens, premiering FRIDAY, AUGUST 16 (8:00 p.m., ET/PT) on Disney Channel and SUNDAY, AUGUST 25 (10:00 a.m. ET/PT) on Disney XD. In the storyline, Phineas and Ferb, team up with the Marvel Super Heroes to help them regain their powers and defeat Marvel Super Villains and Dr. Doofenshmirtz, in an epic battle of good versus evil, where the dastardly delicious device "The Waffle-inator" comes into play. Stars from Marvel Universe – Adrian Pasdar, Drake Bell, Fred Tatasciore, Roger Craig Smith, Bumper Robinson and Laura Bailey – will join the line-up of stars across Disney Channel, Disney XD and Disney Junior who will meet fans at Disney's D23 Expo, including "Teen Beach Movie," "Phineas and Ferb," "Shake It Up," "Jessie," "Gravity Falls," "Good Luck Charlie," "Liv and Maddie," "Kickin' It," "Dog With A Blog," "Lab Rats," "Crash & Bernstein," "Wander Over Yonder" and "Sofia the First." Fans can also catch live performances from Hollywood Records' recording artists Bridgit Mendler and R5 featuring Ross Lynch, and meet favorite characters Princess Sofia ("Sofia the First"), Doc McStuffins, Jake ("Jake and the Never Land Pirates"), Spider-Man and Iron Man. Popular radio personalities Ernie D, Morgan & Maddy, Jake and Candice from Radio Disney will join in the fun with prizes and activities to entertain Disney fans of all ages. To play the "The Phineas and Ferb Waffle-inator Challenge," fans are invited to man one of four colorful, full-scale "Waffe-inators" to unleash flying foam waffles and to move Phineas and Ferb up a towering screen, while outmaneuvering Dr. Doof's evil creations, to free a trapped Agent P before time runs out. 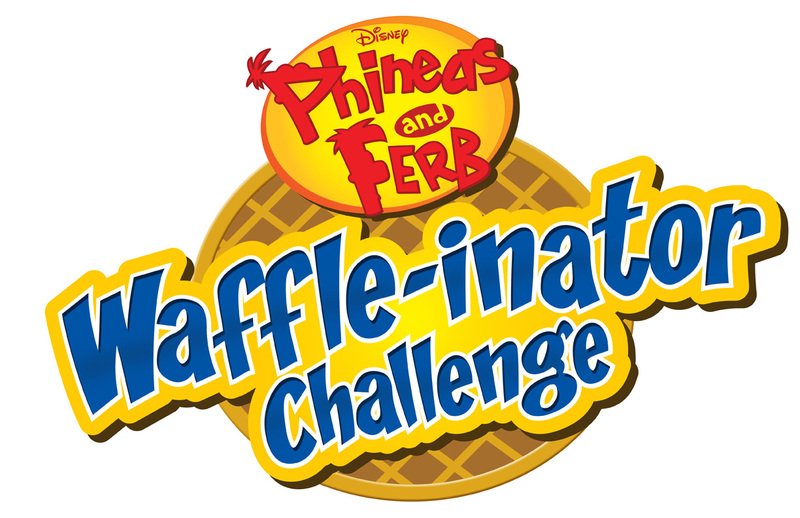 "The Phineas and Ferb Waffle-inator Challenge" will be located in the Grand Plaza near the D23 Expo entrance for fans to enjoy Friday, Saturday and Sunday from 9:00 a.m. – 5:00 p.m.